A “Celebration Of Life” tribute concert was held for the late Mac Miller, who died from a drug overdose on September 7th, at The Greek Theatre in Los Angeles, California on October 31st. During the benefit show that included performances from Action Bronson, Anderson.Paak, Chance The Rapper, Earl Sweatshirt, Miguel, ScHoolboy Q, SZA, Travis Scott, Ty Dolla $ign, Vince Staples, and more, there was a big screen that played messages for Mac from music artists that couldn’t make it. 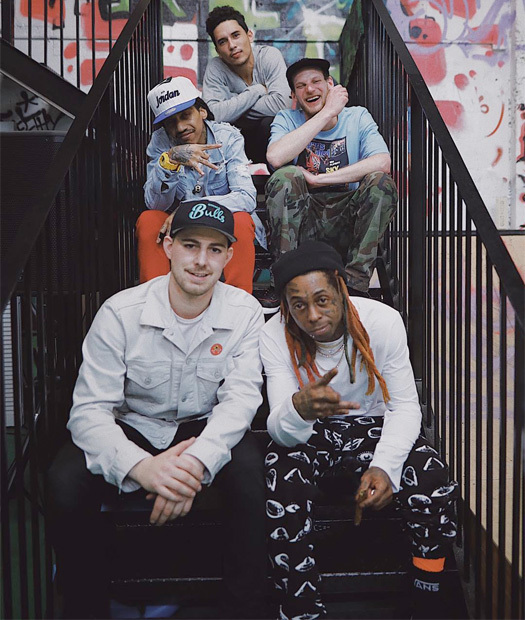 One of these shout outs that played on the screen was from Lil Wayne at his TRUKSTOP skate park, who shared his memories of Miller and recalled doing their “The Question” collaboration together back in 2012. Wayne also went on to explain the difference between “listening” and “hearing”. 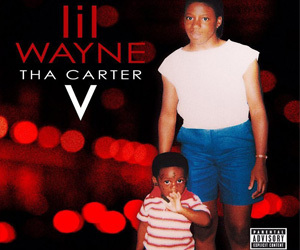 You can check out Tunechi‘s video message after the jump below. The concert allowed viewers to donate to The Mac Miller Circles Fund (TMMCF) to support youth arts and community-building programs in Mac Miller‘s memory. Rest In Peace! 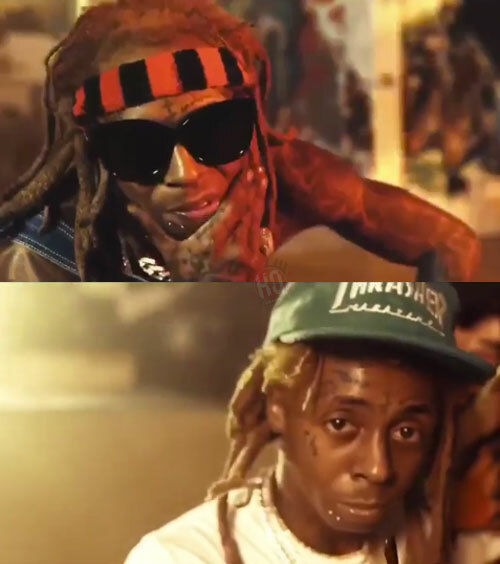 2 months ago, we saw a clip of Lil Wayne and John Wall shooting videos for “30 Minutes To New Orleans“, “3 Peat” and “6 Foot, 7 Foot” at the private TRUKSTOP skate park in Miami, Florida. It turns out that Tunechi and the Washington Wizards player were interviewing each other about hip-hop and NBA, which we will be seeing soon with Bleacher Report. Tune even jokingly said Wall has retired from basketball and is now signed to Young Money as a rapper! BallIsLife have also released some behind the scenes footage of what went down during John and Weezy‘s meet for season 2, episode 6 of their “Summer of Separation” series that you can watch below (starts at the 7:30 mark). 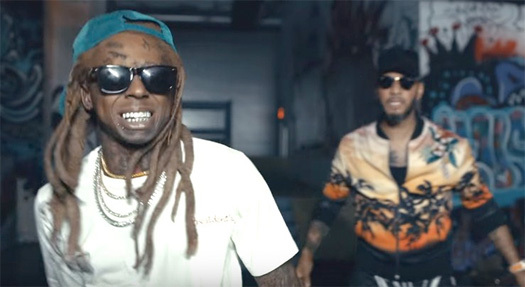 Swizz Beatz has released some behind the scenes footage from his “Pistol On My Side” video shoot featuring Lil Wayne that was directed by Vincent Lou. The visual, which also includes an appearance from Alicia Keys, was shot at Weezy‘s private TRUKSTOP indoor skate park in Miami, Florida on August 8th. You can check out a couple behind the scenes clips of Swizz, Tunechi and Alicia on set of “P.O.M.S” after the jump below! 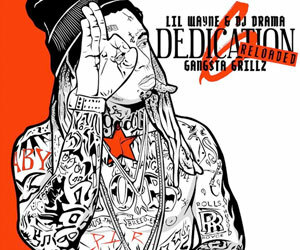 Are you still bumping this song? Swizz Beatz has finally dropped his “Pistol On My Side” aka “P.O.M.S” collaboration with Lil Wayne after first teasing it over a year ago. The single, which no longer samples Wayne‘s “pistol on my side, you don’t wanna hear that thing talk” line off Drake’s “Forever” single, will appear on Swizz‘ upcoming Poison album, due to drop later this year. A music video for “Pistol On My Side” has also premiered, which includes a cameo from Alicia Keys. The Vincent Lou-directed visual was shot at Wayne‘s TRUKSTOP skate park in Miami last month! How do you like the song and video? 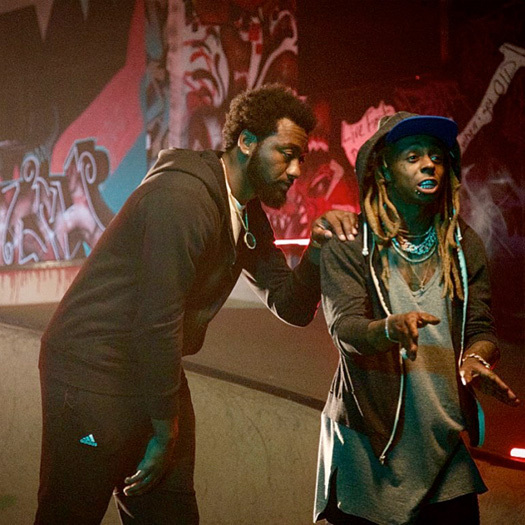 Last night, Lil Wayne and John Wall were spotted shooting videos for “30 Minutes To New Orleans” and “6 Foot, 7 Foot” at Wayne‘s indoor TRUKSTOP skate park in Miami. 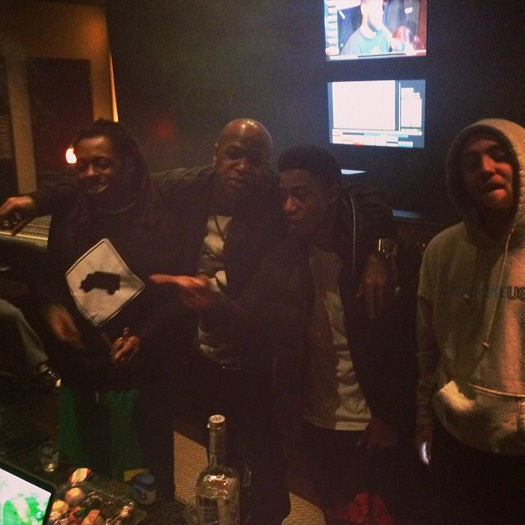 John also sat down with Weezy for an interview to discuss NBA and hip-hop. You can check out some behind the scenes footage from on set of the shoot below, which was captured by the professional basketball player’s bodyguard. 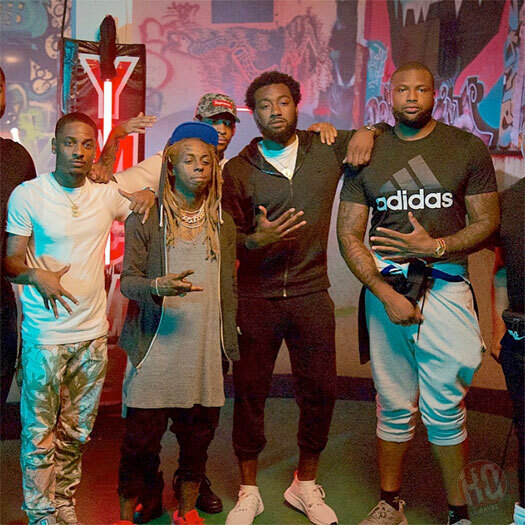 If you didn’t already know, the Washington Wizards athlete’s favorite rapper of all time is Tunechi and he even has a tattoo of a baby Tune on his body!